It's the middle of the month so that means it's challenge time at World Wide Open DT again. Julia Spiri sponsors the challenge and this month I'm using "April Elf." 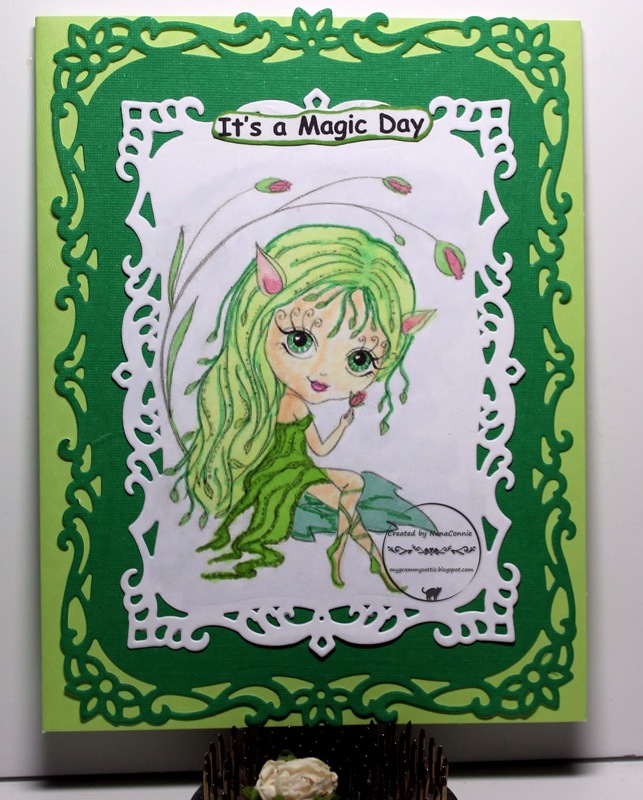 The image is colored with ProMarkers and cut with a die from Spellbinders. The dark green CS frame is also cut with a die from Spellbinders. 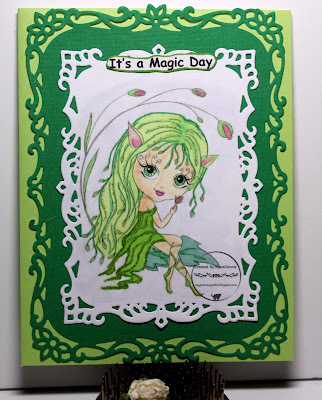 I mounted everything onto a pale green card base, then printed and added the sentiment. That's it! No embellishments - just the layers of die cuts doing all the work to focus attention on the intricate details. Funny how it ends up looking so shabby chic, isn't it? A delightful card. Thanks for joining our challenge. Elaine GDT for C.R.A.F.T. challenge. This is gorgeous Connie, love this cute elf which you have coloured beautifully. Beautiful lacy borders NC, love the beautiful green shades to create the monochrome look. Thank you for joining in with the Shabby Chic challenge at C.R.A.F.T. this week. Love the gorgeous Spellbinder dies you used! That April Elf is adorable!! What a fabulous image...beautifully coloured and designed! Thanks so much for sharing with us at Fussy and Fancy! Lovely card!! Thanks for joining Polkadoodles Crafting Challenge, and good luck!